Blog: It's a bird.. It's a plane... It's the Fly Zone! It’s a bird… It’s a plane… It’s a blast! Walking into the Fly Zone, right away my eyes were drawn to the photos surrounding the front desk: suspended in mid-air, no walls, no safety net, just bodies hovering, Superman-style, like birds in the wind. Very, very cool. The Fly Zone is yet another example of the supremely cool activities available in our beloved corner of the world. Their wind tunnel, which is mobile by the way, brings sky diving out of the sky & into our backyard, for everyone ages 5 & up. After touring the Bodyflight facility – fully equipped for hosting staff parties, bdays, stags, etc. – we sat through our one-on-one briefing on body position, then zipped into the wind suits & hopped into the air. This was a total rush! I hovered & flailed & rose & sank & dipped & bobbed & stretched & sailed. When my session ended, I staggered out with adrenaline on max, grinning ear-to-ear. It does take some time to get a hang of the body position, but that’s a perfect excuse to come back. It's bright skies ahead for the Fly Zone. Approaching its 1-year anniversary, their totally mobile wind-tunnel has been all over the lower mainland & even brought out onto cruise ships. They are currently also working on bringing a silent, electric-powered tunnel to the River Rock Casino. 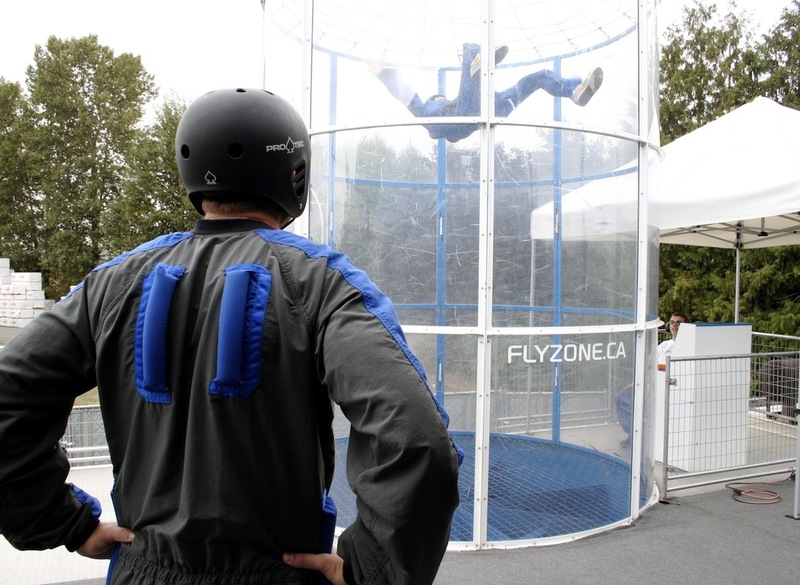 Zip out to the Fly Zone this month to liven up the coming fall season. 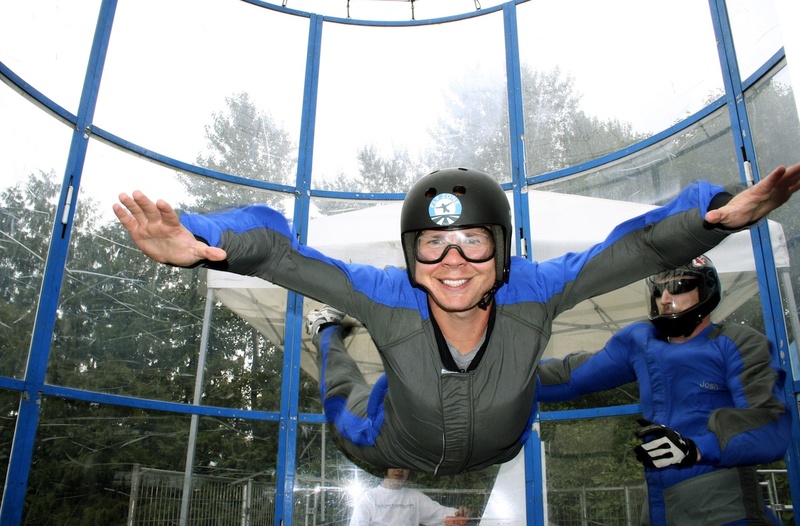 For the non-skydivers out there, the Fly Zone is really for everyone. It’s safe, it’s unique, it’s a workout, it’s an absolute blast, perfect for the individual or groups!